Big data is generally defined as a large set of complex data, whether unstructured or structured, which can be effectively used to uncover deep insights and solve business problems that could not be tackled before with conventional analytics or software. Data scientists usually leverage artificial intelligence powered analytics to constructively evaluate these comprehensive datasets in order to uncover patterns and trends which can provide meaningful business insights. Use healthcare financial data to improve the revenue stream for a practice, hospital or healthcare organization. Big data is expected to penetrate faster and deeper into the healthcare sector than in other industries such as media, financial services, and manufacturing. Which should come at no surprise considering the fact that healthcare is the largest private employer in the United States and its spend accounts for 20% of our nation’s GDP. In fact, it is projected that the global healthcare big data market will grow steadily at a compound annual growth rate (CAGR) of 22.07 percent to hit around $34 billion by the year 2022. Another comprehensive study estimates that big data in the healthcare sector will experience an outstanding CAGR of 36 percent through 2025. 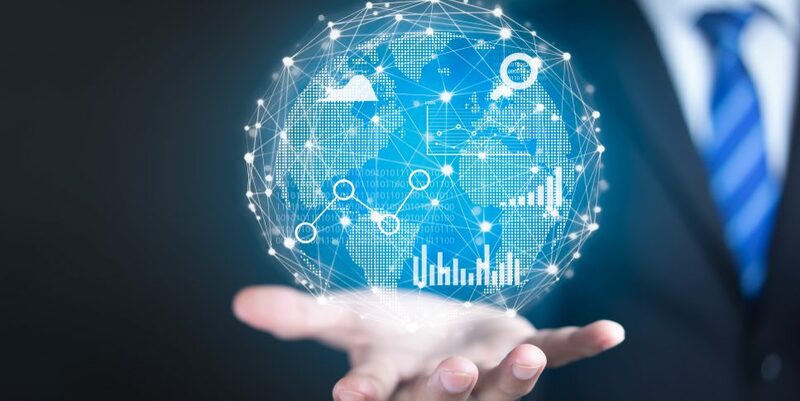 Due to increasing investments in workforce management tools, practice management solutions and electronic health record (EHRs) systems, the global big data analytics sector is projected to be worth a staggering $68 billion by 2024. In this article, we will cover the history of big data in healthcare, its application and its potential to improve both medical outcomes and operational efficiencies in the healthcare space. Big data, alongside data analytics, are two areas that have progressed significantly over the last couple of decades thanks to the proliferation of the internet and cloud computing capabilities. However, our ability to store and make sense of information (read: data) has been a gradual evolution that many scholars say dates back to around 1800 BCE. The Babylonians, for instance, used a handy device called abacus to perform simple to complex calculations as early as 2400 BCE, which is coincidentally the period when the first libraries emerged, marking human’s first attempt at store information in large-scale. Fast-forward to 1663 … statistics is embraced by scholars and mathematicians like John Grant. He’s credited as the pioneer of statistical data analysis, and perhaps the father of modern big data. In fact, Grant’s statistical analysis was first used in healthcare to help deliver early warning for pandemics like bubonic plague that was wreaking havoc in Europe at the time. It was not until 1865, however, that the term “business intelligence” was coined by Richard Millar Devens. He entered the term into his Encyclopaedia of Commercial and Business Anecdotes while trying to describe how Henry Furnese (a bank operator) was gathering and analyzing relevant business information in order to gain an edge over other rival bankers. It’s still touted as the first instance use of big data analytics for business purposes. In the early 1880s, a young scientist at the US Census Bureau invents the so-called Hollerith Tabulating Machine. It was a groundbreaking device that employed punch cards to process a large amount of census data, essentially reducing decade’s work to a mere 3 months. This data analytics machine would form the foundation of what’s now IBM. The concept of business analytics didn’t go mainstream until the heydays of the 1950s, but it took another decade before the US government erected the first data center, storing 175 million set of fingerprints and 742 million tax returns on magnetic storage tape. Between the 1960s and later 2000s, the term business analytics was usually used in place of what we now refer to as “big data.” In 2007, the technology magazine Wired, introduced the term to the public. Two years later, McKinsey Global Institute reported that companies with 1000+ employees in the United States are producing and storing close to 200 TB of data. By 2011, the concept and application of big data had caught on so much that McKinsey & Company speculated that there’ll be a shortage of 140,000 – 190,000 of data scientists in the next decade. Today, big data is no longer a buzzword – it’s a reality that healthcare CIOs need to adapt quickly, otherwise their organizations are edged into oblivion. In fact, 88 percent of executives surveyed by Accenture said that big data and business analytics will be their top priority going forward. Volume, velocity, and variety – aptly called the “Three Vs” of big data, are the cornerstones of big data. In healthcare, these three are the defining dimensions or properties of effective big data analytics. Volume entails the remarkable amount of data healthcare generate through their apps, portals, websites, and EHRs. Velocity refers to the speed at which datasets are being generated and processed. Variety encompasses the different number of types of data we can now generate, gather and analyze. Besides the three, there are two new Vs of big data: veracity and value. Value is the attribute that refers to the tangible worth of the data being generated, collected or analyzed. Last but not least, veracity refers to the trustworthiness, integrity or quality of data generated, collected and analyzed by healthcare institutions. Is it trustworthy? Discovering, designing and developing new drugs and other health products cost tremendous amounts of money and this process is incredibly time-consuming. Product R&D’s are typically struggling to make sense of large swathes of data at their disposal. This is an area big data can come to the rescue, zeroing on the right data and thereby reducing the time involved in product development. There’s a lot of trial and error in the process of developing new products. Big data takes the hassle and guesswork out of the equation, helping R&Ds deliver better and more precise products. Real-time data analytics help healthcare organizations refine their products based on large data sets. Big data can be utilized for preventive maintenance of medical equipment, health tech devices, and digital assets like websites & apps, especially in an age when data security breaches are on the rise. In essence, big data informed preventive maintenance helps healthcare organizations reduce general costs of keeping their equipment up and running. Big data and analytic services make it easy for clinical practitioners and researchers to better diagnose and treat diseases. By analyzing a vast amount of patient health data, doctors and clinicians can zero in on otherwise hard-to-diagnose and rare diseases like Parkinson’s Disease. The overall advantage of using big data in healthcare is that it’ll significantly improve patient outcomes. Gathering and analyzing workforce data helps hospitals, pharmaceutical companies, and other healthcare organizations boost the productivity of their employees. It will help health organizations redesign their workflows, direct more resources where they are most needed, and enhance the overall operational efficiency. Creating tailored drugs and therapies for complex and rare diseases which currently cost up to 2.6 billion to product, per drug, according to Big Data Made Simple. The list goes on and on. When all’s said and done, however, one of the most important benefits of using big data is to reduce the cost of healthcare. For starters, big data can help healthcare organizations keep fraud, data breaches, and other security problems. Just one year after using big data, the Centers for Medicare and Medicaid Services saved more than $210 million in frauds. Of more importance is that electronic health record systems when coupled with big data in areas like cardiovascular health can lead to cost savings billions of dollars from reduced lab tests and doctor’s office visits. Interested in emerging technologies in the cardiovascular space? Check out our article on 7 Cardiovascular Health Technologies Doctors Should Know About. The goal of efficiently using Big Data in healthcare is to understand current data sets, the problems a health organization is trying to fix, and to find innovative solutions that will help reduce operational costs. This mindset and approach will benefit various healthcare players such as healthcare providers, manufacturers, insurers, and most importantly recipients/patients. Why is big data so important in healthcare? Inadequate data governance leads to duplication of records, missing entitled reimbursements, difficulties in financial benchmarking and other operational inefficiencies. Big data can fix that! Patient care is also more complex these days and without proper analytics, it becomes increasingly difficult to provide quality and safe patient care that have much better outcomes. Many healthcare organizations have seen discrepancies between clinical and accounting departments due to data mismatches and inaccuracies. In fact, according to afore-mentioned study, 71 percent of those surveyed said they have discovered inconsistencies between data from several different sources within their organization, most notably financial, clinical and administrative datasets. Furthermore, 51 percent of executives have found inconsistencies between data from different clinical departments. Why use big data in healthcare? Big data is being used extensively in healthcare to help identify and manage both high-risk and high-cost patients. Payers are leveraging the power of predictive big data analytics to zero in on high-cost patients, according to the Society of Actuaries (SOA) report. More specifically, they are looking at the patient’s gender, age, prescription drug usage and spending history as predictors of whether an individual should be considered a high-cost or not. And there’s a great reason for that. According to a recent report, 17 percent of patients studied by Healthcare Cost Institute Database accounted for about three-quarters of all healthcare experience. That’s why it is crucial for payers to identify high spenders and seek preventive measure early enough. Big data is also used to identify high-risk areas where patients can be provided with more efficient healthcare to reduce spend and increase patient satisfaction. By helping payers and healthcare providers identify high-risk and expensive patients, big data and analytic tools are able to provide these individuals with adequate intervention and reduce expenses, such as preventive care well ahead of time. Take Dayton Children’s Hospital in Ohio, for instance. It’s taking advantage of big data to comb through and analyze data from Google products to target potential patients. This data-driven approach helps the hospital identify potential patients at risk of lifestyle conditions like diabetes, depression, high blood pressure, and cardiovascular disease. With the proliferation of EHR systems, telemedicine and other healthcare technologies, initiatives like that Dayton Children’s Hospital will continue to take center-stage. Of course, some work on big data analytics has already begun, but much more needs to be done to gain efficiency and cost reduction. The cost of delivering healthcare in the US is now more than $3 trillion annually. This is where big data, when combined with other health technologies, can help track and identify diseases long before they happen – and therefore boost preventive care. This is what every executive should be aware of: the use of big data in healthcare begins even before a patient visits a doctor’s office. This a crucial area where health-tech companies like Fitbit come into play. Through data gathered from wearables, like activity, sleep, blood pressure and more, healthcare providers can get a more complete picture of patients’ health and devise preventive care plans that result in much better patient outcomes. And there’s a tone of fitness and health data already available to healthcare providers in real-time. Fitbit, for instance, says it has more than 90 billion hours of heart rate data that can help cardiovascular clinicians, researchers, and even payers devise preventive measures and care. For example, payers can start providing discounts, reduced rates, and even other enticements to members who are at risk of a heart condition. Fitbit also has over 167 billion minutes of exercise activities tracked, 5.4 billion nights of sleep monitored, and 85 trillion steps clocked. Providers can use this large amount of health data collected by wearables and other devices to provide better insights and guidance to patient. According to a recent report by McKinsey & Company, healthcare costs now account for 17.6 percent of the GDP of the country. While that’s not surprising at all, the uptick in healthcare cost burden means that we spend $600 billion more than the expected benchmark for the wealth and size of the US. And that’s a huge red flag! The good news is that predictive data analytics can play a great role in reducing healthcare expenses and minimizing financial waste. Accordingly, more than 57 percent of healthcare executives say that predictive data analytics will indeed save healthcare organizations a quarter or even more in costs annually over the next half decade or so. With vast information and insights that healthcare data analytics offers, healthcare executives and providers are in a position to make better financial and operational decisions while providing an enriched and quality of patient care. There are several different ways healthcare data analytics can help cut costs for providers and practices. One great example is optimizing staff allocation by predicting patient booking and minimizing financial waste. This will help providers in avoiding underbooking or overbooking staff at times of greater/lesser demand, translating to more cost savings. Another example where big data in healthcare can really help large health organizations includes the overall cost reduction for patient care. For instance, Mayo Clinic is currently using predictive data analytics to zero in on patients with two or more chronic conditions as they are highly likely to benefit from preventive and early intervention care right at their homes. This way, big data analytics is, therefore, saving Mayo Clinic and these patients who will avoid visiting the emergency department. It’s a win-win situation. Less clinical guesswork = more healthcare savings. Thanks to deep clinical insights that can be derived from data and predictive analytics, providers can make more accurate clinical decisions and prescribe treatments with greater precision. When big data is used correctly, there’s no room for guesswork when it comes to diagnosis and treatment, an excellent combination for not only enhancing the quality of patient care but also lowering costs. Big data also has the potential of reducing costs for payers. By taking advantage of predictive analysis based on data from wearables, insurers can help get better, faster and, consequently, leave their hospitals beds faster. Moreover, big data insights can help reduce bed shortages and staffing needs. The National Healthcare Anti-Fraud Association says that loss to healthcare abuse, fraud and waste amounts to $80 billion in cost annually, which is a little conservative because other credible sources put the number at a whopping $200 billion. What that means is that close to 10 percent of total spending on healthcare is wasted due to human error or fraud. In fact, human error alone accounts for about 6 percent of a healthcare provider’s expenses. As if that isn’t bad enough, there is also the fact that errors in prescription dosage can result in overdosing, risking a patient’s health and overall well-being. Furthermore, healthcare accounting errors put an additional financial burden on the healthcare institution as reconciliation with insurers, payments, etc need to be re-done, becoming time-consuming and expensive. 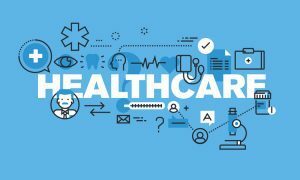 When companies leverage big data and predictive analytics in the healthcare industry, fraud and errors can easily be detected and prevented, saving healthcare organizations huge amounts of money in the process. 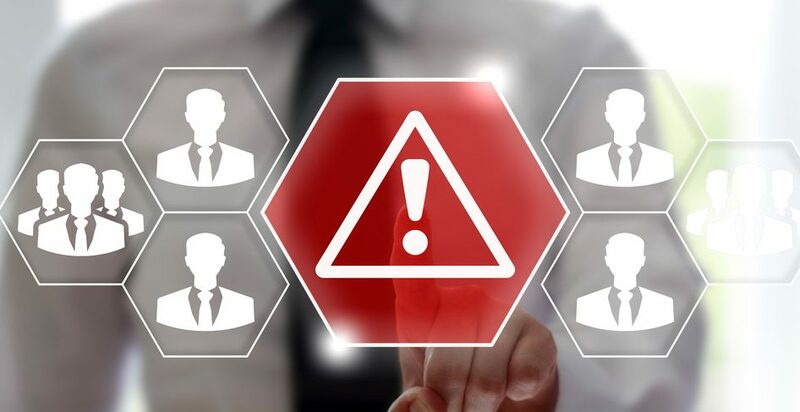 Already, there are several big data and analytics solutions that help providers prevent such frauds and human errors, especially when it comes to dosage. One great example is MedAware, an Israeli medtech company that was co-founded in 2012 by Dr. Gidi Stein, professor of medicine and molecular imaging at Tel Aviv University. The big data powered software solution integrates seamlessly with EHR systems operated by most hospitals, detecting prescription errors before they occur. The platform draws prescription patterns in hundreds of thousands, if not millions, of EHR records to alert to medication-order outliers. Phoenix Children’s Hospital has also implemented a dosage range checking (DRC) platform that relies on analyzing huge patient data sets to prevent overdosing or underdosing. Its DRC system at PCH is designed to generate soft/hard stop alert warnings for prescribers on dosage issues before they write the actual orders. The DRC system has delivered considerable benefits because there has been no reported case of overdosing since it was implemented back in 2011. What’s even more interesting is that the DRC system allowed a review of over 1 million patient records, helping delist a popular prescription analgesic from the market, according to the source cited above. Big data, predictive analytics, as well as a host of other technologies like AI, machine learning, and telemedicine are the new frontiers in medicine. Big data analytics, in particular, helps researchers and clinicians discover innovative healthcare solutions to boost the quality of treatment and patient care. Refining drugs and therapies for patients suffering from chronic illnesses. One such innovative solution driven by big data is wearable sensor tech device that was created by Philips in collaboration with Radboud University Nijmegen Medical Center in the Netherlands and SalesForce. The innovative device is designed to help patients with chronic obstructive pulmonary disease to improve their lifestyles and boost their treatments. Big data innovation in cancer treatment: The National Center for Tumor Diseases (NCT) in Heidelberg, Germany has leveraged big data to identify tumor markers from the notes of doctors, creating a tumor registry that’s one of its kind. CancerLinQ, a nifty tool developed by the American Society for Clinical Oncology brings together cancer data from over 1 million patients across 100 clinics. By using big data analytics, oncologists can come up with treatments with a high level of accuracy. Another classic use of big data to innovate is at Mercy, a healthcare provider in the US boasting over 40,000 employees including 700 physicians. Mercy’s big data analytics platform allows the organization to boost operational efficiency and achieve breakthrough patient outcomes. Seoul National University Bundang Hospital is also trailblazing the way for the rest when it comes to embracing big data. Thanks to its big data platform and paperless approach, the quarterly analysis which usually takes around two months is a now 2-second affair. How can health organizations deploy big data? Data driven mindset – Training all institution staff and patient care personnel on how to accurately record data, store and share it. Proper collection and storage mechanism – Using proven processes and mechanisms to collect, store and access data. Smart algorithms – Building smart algorithms that will consume the large volume of data, properly analyze it and produce relevant results, which will be used in predicting the right outcomes for patient care. Who benefits from the use of big data in healthcare? Providers (Clinics, Hospitals) – insights generated by big data analytics will help healthcare providers deliver better patient outcomes, reduce wastage, and enjoy efficient workflow and processes. Payers (Insurance) – Executing data analytics at large scale can benefit payers in a number of ways, including elimination of fraud, reduction of false and improper claims, faster reconciliation, better service. Patients – Patients are the ultimate winners in a data-driven healthcare environment. They’ll reap countless benefits such as superior health management, predictive care, healthier lives, savings in insurance and overall healthcare. Device Manufacturers – Data analytics helps manufacturers create better, more innovative products to solve health issues and build devices relevant to patients’ needs. Pharma – Better R&D, more effective drugs, savings on manufacturing drugs, innovative drugs. Interested in learning more about big pharma and predictive analytics? Check out our article on Artificial Intelligence & the Pharma Industry: What’s Next. Big data has a potential of revolutionizing healthcare from top to bottom. Healthcare organizations should bet big on big data to provide better patient outcomes, save on costs, and build efficiency across all departments. More crucially, big data will help clinicians and hospitals provide more targeted healthcare and see better results. For pharma companies, big data is a driving force that’ll help the design and build more innovative drugs and products. On the overall, healthcare stakeholders can rely on big data and predictive analytics to tackles major issues like readmission rates, high-risk patient care, staffing issues, dosage errors, and much more. Prove the value of big data with ZERO upfront costs. For a limited time, Digital Authority Partners is offering healthcare organizations with 500+ employees a FREE big data assessment and proof of concept. Contact us today for details at [email protected] or by calling us directly at (312) 600-5433.